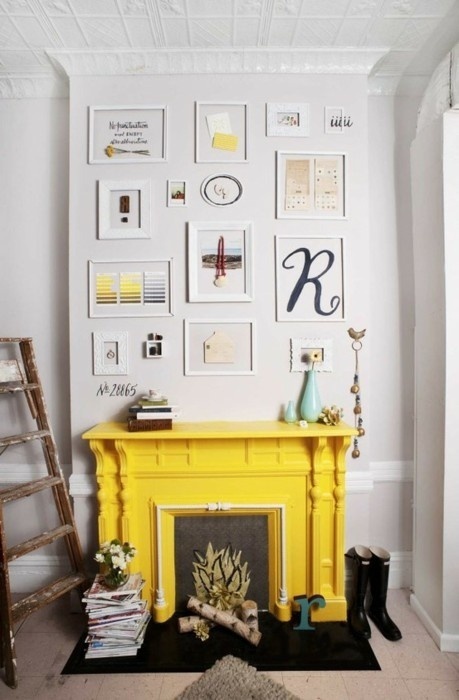 A radiant splash of brightness can immediately, today, add so much to just about any space. Remember one thing: your eye will move toward fire. So, if you are using a pop of color, chances are you are going to pull a lot of focus toward your new design choices. Use this color trick to highlight areas at home that could use more of your love and attention! Here color creates such incredibly confident vertical lines, like beams of sunshine. Want to make a room more magnetic? Painting its door a neon color is one way to go! 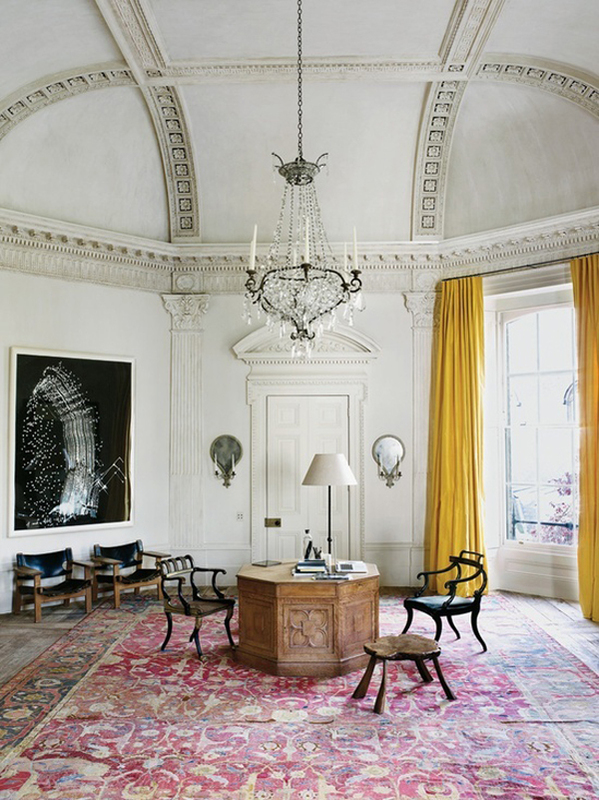 Dramatic color can turn a mantle into a real centerpiece, breathing golden waves into a space. If you have the ability to re-paint funky cabinets, its worth a shot before renovating. The affect can be majestic! And, if you are looking for a big but non-permanent change, the bright pillow and brighter flower will always be there, waiting for you! Do you need more vibrant color at home, even in small splashes? Luscious Indoor Trees Lift The Energy Of Any Space! Next post: The Countless Joys Of Expanding Your Vocabulary!